Asking for referrals and introductions makes most of us uncomfortable. But think about it. If you’ve had a great experience working with someone, it’s really satisfying to refer that person to a friend or colleague. It’s even more rewarding when your colleague, too, finds value and thanks you for having made the connection. So how do you ask for a referral without being pushy or sounding desperate? Then follow with “the ask.” The key is to ask in a way that encourages them to think of a specific person and give you specific name. Here are five ways to ask. Who do you know that should know about me? The next step is to ask them if they would be willing to make an introduction via email or phone. When they say yes, make it really easy for them. Send a brief one-paragraph introduction that highlights the types of problems you solve and results you deliver. Before the introduction, be sure to ask the referrer what you should know about that person. Any information you can glean to help “break the ice” in your first call will result in more rapid rapport, and a higher probability of success. What have you found works best to seek referrals from your colleagues and satisfied clients? Share your ideas or experiences in the Comments section of this blog. Kate Purmal is COO of an early stage stealth cell therapy company. She also serves as a consultant, advisor and business coach to CEOs, executives, and entrepreneurs. Previously Kate served as a Senior Vice President at SanDisk, the CEO of the software joint venture U3, and led the product team that designed and launched the PalmPilot. Introducing the Career Actions Network. Next meeting is November 2nd. I was on a speaker panel recently with Al Hulvey, one of the heads of the Career Actions Network, which is a very effective and free service that is being offered by Menlo Park Presbyterian Church (MPPC). The church has an excellent program of meetings with expert speakers on job search strategies, plus small accountability groups, and a résumé and referral network. See the end of this email for the topic and speaker info. 1. Attend a Large Group Meeting. 2. Join a Success Team. – A trusted team to share individual problems for referral to other MPPC ministries or community resources. 3. Become part of the web-based Career Actions Network. A unique feature of the CAM program is our job referral network. Members of the congregation have opted in to provide job leads and referrals. Register to create a profile and post your resume. Go Hire Yourself An Employer (originally a book title by Richard Irish) is a powerful concept and the theme for Dennis Romley’s talk. 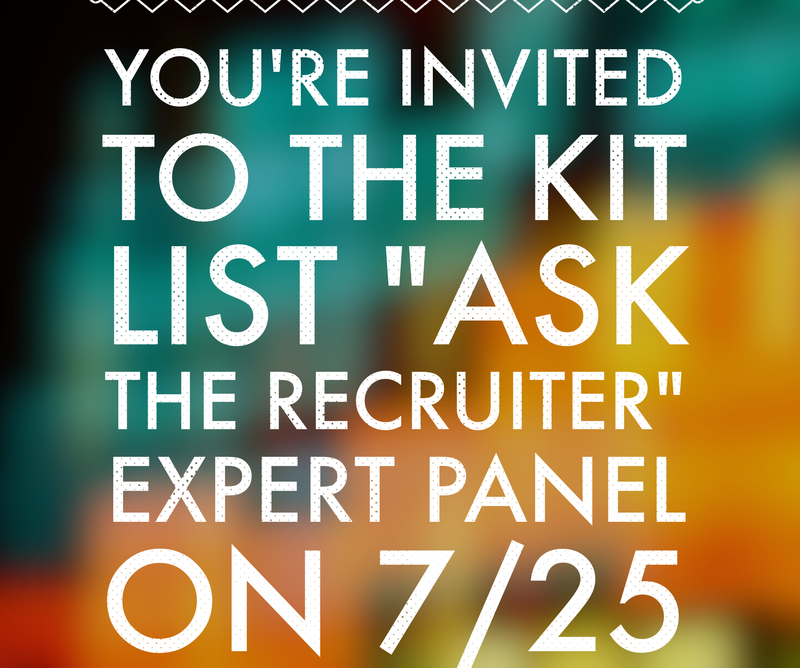 Dennis will dissect the job search process and zero in on getting the interview. He offers concrete advice on how to nail each interview. Key is what Dennis calls the “ladder to success” which will translate personally to each one of us regarding our process of searching for a job. Participants will leave this discussion with an awareness of our choices in getting more of what we want in each situation as well as great materials for preparing and interviewing powerfully. Dennis Romley is the founder and principal of Threshold Consulting, a firm dedicated to organizational change & development and strategic management of human capital. Recent assignments include: transition consulting and career coaching for Career Curve clients, design and delivery of Collaboration and Ideation workshops for product conception and improvement, and talent retention strategies for an organization under fire. Dennis applies his skills as a strong negotiator, compassionate leader and team collaborator to produce the results needed when he is called in to support organizational change. He has over 30 years experience in strategic and global roles that include Senior Vice President at Roche Pharmaceuticals, Vice President SRI International/SRI Consulting and Director at Raychem Corporation (now Tyco). Dennis is a mentor and coach with senior leaders to encourage positive team and organizational dynamics. With global leadership and training experience in the USA, UK, Switzerland and Japan, Dennis is able to apply best practices across cultures and teams. I saw this article on Mashable.com and this captures the tips I’ve been wanting to share with the KIT List. I get those auto-invitations to connect on LinkedIn all the time, but I don’t accept them unless I already know the person. However, the exception is when someone takes the time to write a personal note. Taking a quick minute to write a personal note instead of using the form letter is well worth it. It creates context for why someone should connect with you. As the article mentions, just using the auto form is not a good practice and dramatically lowers your chance of being read. (www.http://mashable.com/2013/10/14/linkedin-message-tips/) and I’ve also included the full text below. 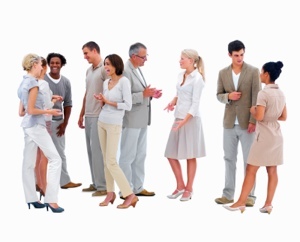 Imagine you were at a networking event, and you spot someone you don’t know but would love to. Maybe she has your dream job, or maybe he runs a great business that you’d like to model yours after. Would you ever walk up to this person and blurt out a question or request for his or her time, sans context, gratitude or even introductions? Probably not — but it happens all the time on LinkedIn. The amazing thing about LinkedIn is that it allows you to connect one-on-one with nearly anyone in the world. But I can’t tell you how many people I see squandering this opportunity by sending brief or automated messages that don’t give people any meaningful reason to connect — à la “Can you help me?” or “I’d like to connect with you on LinkedIn.” It’s lazy, it’s unprofessional, and it’s highly unlikely to get a response. Before you write the message, ask yourself: How do I know this person, and why am I reaching out to him or her? Is this someone you know and need advice from? Someone you share a contact with and want to know more about? A stranger with whom you’re hoping to connect for the first time? Use that information, then, to craft as specific a subject line as possible: “Following Up from Last Night’s Event” is more likely to be read than “Following Up.” “Fellow Teacher Interested in Urban Education Reform” is better than “Loved Your Speech.” “Mutual Contact?” Don’t even think about it. Don’t skip this step on LinkedIn. You should never assume your contact will just click on over to your profile to learn about you or see how you’re connected — be proactive (and respectful of the other person’s time) and write a quick intro. Whether you use this sentence to include your mutual contact, where you’ve met or your shared background, tailoring your intro for the specific contact shows that you’re serious about connecting with him or her. When it comes to emails, the shorter, the better. People are time-crunched, and you can lose their interest just as quickly as you got it if you segue from a pithy intro into a drawn-out monologue of why you should be connected or a lengthy recitation of your resume. Keep this in mind as you craft your second paragraph, the meat of your message. Quickly dive into why you’re writing — and “just to be connected” doesn’t count. Why do you want to be connected? Do you love this person’s updates or products? Do you want to book him to speak at an event or invite her to guest post on your site? Do you want to ask this person questions about her company or background? An important note, though: Make sure your ask is commensurate with your relationship. There’s a big difference between asking someone you don’t know if she’d be willing to spend 10 minutes on the phone with you talking about the interview process at her company and asking her to put in a good word for you with the CEO. The last two lines of the message are your closing moment — think the “I look forward to hearing from you” at the end of the interview. You want to be gracious, but also make sure it’s clear what you’re asking for. Try this: “All this to say, might you have time to [provide feedback, write a recommendation, make an introduction, whatever]? I greatly appreciate your time and expertise.” Remember, you’re asking a favor of someone you presumably don’t know well enough to call or email, so this thank-you is crucial. These same strategies work if you’re requesting to add someone on LinkedIn — just shorten up the wording in each step. It takes just a couple minutes more than sending that automatic message, and it’s much more likely to get results.